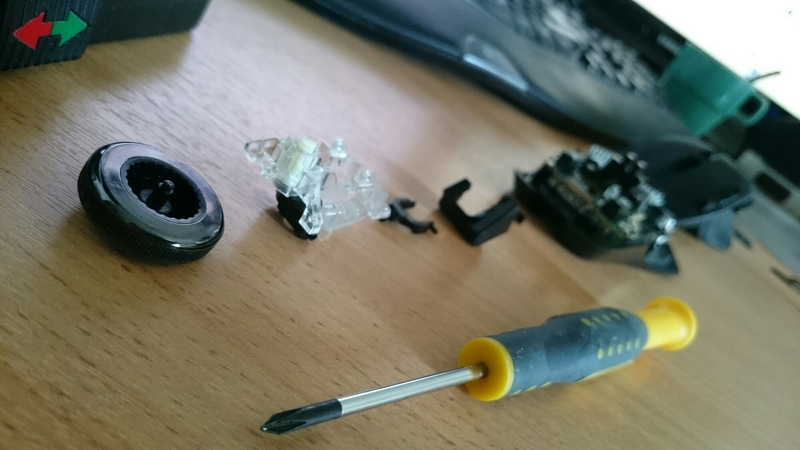 A rather large amount of gunk (not pictured as it was rather gross) had accumulated at the bottom of the mouse wheel assembly which was causing the scrolling to become erratic. Some work needed to disassemble the whole setup, but it all works like new again. Jewellers screwdrivers necessary.